Co marketing is a collaborative marketing strategy that involves combining resources with a company that serves the same audience you do. The marketing partner isn’t a competitor (of course) but someone who can deepen market share or refresh brand sentiment by tapping more customers in your space. Unlike co-branding, co marketing doesn’t involve releasing a new product. Instead of starting in the product development phase, it hits its stride when both parties find ways to highlight and cross-promote their mature offerings. 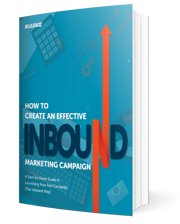 In general, co marketing campaigns are easier to plan, develop, launch, and maintain than co-branding campaigns. Once the strategy is in place and the collateral is complete, they can run for many years without intensive re-work. Co marketing also gives you a potent platform for learning more about customers and refining your efforts to earn their attention. Both you and your partner will be gathering data on how the campaign is received and how targeted products or services are used. Naturally, two heads are better than one! What Kind of Companies Engage in Co Marketing? Large firms have the advantage of being able to deliver a consistent brand experience across a large audience even when working with another company. Smaller companies benefit enormously from having the chance to work with larger partners who can give them an extra boost into the public consciousness. Another context where co marketing is common is the nonprofit sector. Nonprofit organizations can easily work with other organizations by extending discounts on things like hotels and rental cars to their membership. This helps members while building brand loyalty for partners. 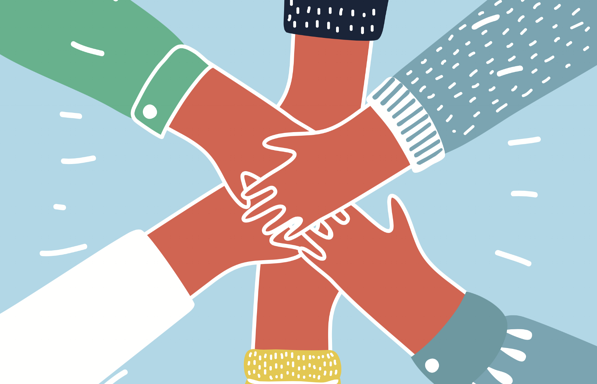 Since nonprofits often have experience with co marketing initiatives, it can be a fantastic idea to reach out to them. You may get the chance to support a cause you care about and show customers exactly what values your brand stands for at the same time. When you really look for them, you’ll quickly notice that marketing partnerships are very common. It’s easy to weave them into the fabric of what a company does so customers come to rely on them. A well-chosen partnership boosts brand equity and awareness for all parties. Super Bowl XLIII – that’s 43, for those who skipped their Latin – was a great example of not two, but three companies working together. PepsiCo distributed special 3D glasses through its SoBe Lifewater brand so fans could enjoy the DreamWorks 3D double-play, in turn powered by Intel. When you think of Legos, you might not think of Volvo first. Still, the brands work together closely to promote the Lego Land theme park. Volvo is its official car, giving both brands the chance to reach the same audience with their family-friendly promotions. In 2011, Mezzetta Pizza put itself on the map with the help of Delta Airlines. It launched a social media contest where diners were asked to upload a snap of their favorite pizza. Those with the best shots had the chance to win big prizes, including a free trip to Italy aboard Delta. Procter & Gamble is well-known for its annual collaboration with nonprofits focused on breast cancer research. In October, P&G supports the National Breast Cancer Foundation by giving many of its hundreds of products a highly-visible pink makeover. “Intel Inside” is now a ubiquitous part of the computer hardware world, but it wasn’t always that way. Before Intel started partnering with PC manufacturers, semiconductor companies were known only to the businesses they served. Now, many savvy consumers have a strong opinion on Intel vs. AMD. 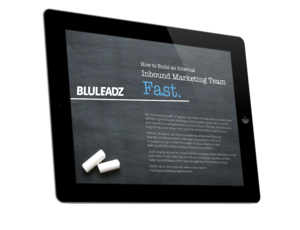 HubSpot is the world leader in inbound marketing strategy and techniques. 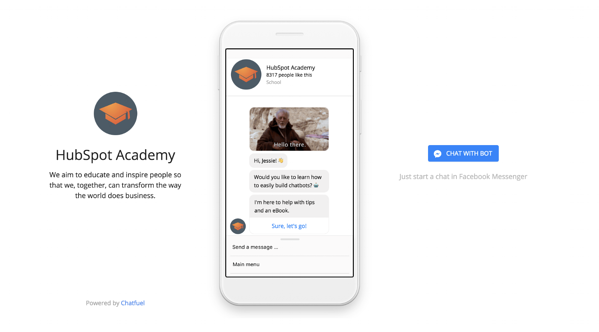 By working with AI chat bot foundry Chatfuel, it ran a successful promotion that introduced visitors to the versatility of B2B AI with a brilliantly interactive Chatfuel experience and one of HubSpot’s classic guides. 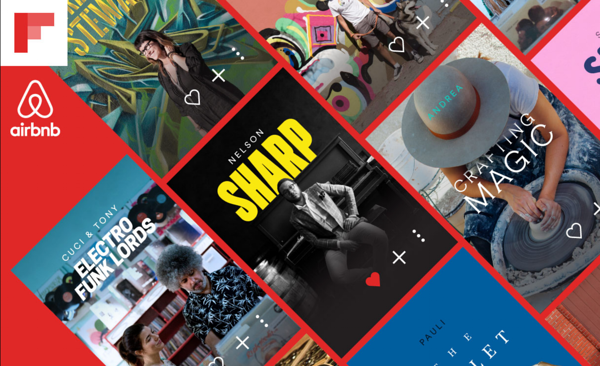 Everyone has heard of Airbnb these days, but social network aggregator Flipboard was a lesser-known player until this great joint promotion. Targeted Airbnb content crafted for Flipboard users resulted in millions of page views and tens of thousands of new social follows. Uber and Spotify came up with a jazzy partnership back in 2014. Users hailing a ride on the Uber app received a special prompt to select a pre-made Spotify playlist for their trip. While it wouldn’t get Uber new subscribers, it would boost total rides and energize engagement on the Spotify app. Etsy is a popular place for crafters and creators of all kinds to offer their work. The General Assembly is one of the top coding bootcamps in the world. Working together, they’ve created amazing events by giving Etsy crafters free reign to design, decorate, and host events at classy global venues. Red Bull and GoPro became a famous pair during the latter’s heyday. At the peak of GoPro mania in 2012, the brands partnered to support Australian skydiving legend Felix Baumgartner in his record-breaking jump from a balloon 24 miles up – all captured by his GoPro, of course. If you’re looking for a way to excite and enthrall your audience, co marketing could be the ideal solution. Done right, it benefits both parties – often very quickly – and sets the stage for deeper collaboration in the future. Who knows where a good marketing partnership might lead?